Recall a time in your childhood when a friend or relative helped to change you in a important way? My Aunt Wana! She’s my mom’s only sibling and baby Sister. When she use to pick us up and take us to her house or we’ll go to one of her friends house. We would be in the room playing , and no matter how much fun they were having she would always cut off from them and come peep in the room and ask us ” Are yall okay?” She wouldn’t depend on the normal “YES”, she would look us ALL in our eyes to make sure that we were really Okay. She wasn’t leaving that room, until she was satisfied with the desire results she came for. In my kid mind, I saw that they were having so much fun. They were playing cards, music, dancing, drinking, eating, laughing and talking to each other. I couldn’t understand then, why she use to come check up on us so many times. But she knew. She knew what could happen in a few minutes, she knew that someone could be hurt and she couldn’t see them. She knew that kids say everything is fine, when something else could be going on. To her, it didn’t matter how much fun she was having, she took a break from her fun to make sure we were okay. That stuck with me to this day. When my daughter was a kid and had company, I would do the very same thing. I dont care how much laughing I was doing with my friends, I had to make sure the kids was okay. I had to look them in their eyes to make sure no one is crying for help and I over looked it. I had to know before I close that door and go back to my friends that these kids were alright. That changed me in a important way, because it lets me know that no matter how busy God seem to a person, he ALWAYS check in on his kids! US! We are never alone, and he always watches over us no matter what. He will never leave us to do what we want without checking in. When it seems as if he’s not around, he is always PRESENT! How do you “hear” God? I hear God by KNOWING that the words spoken in my mind/soul/heart are NOT words I would say myself. The best way for me to explain this is by stories of my Life Lessons. One day I was at the red light, on the over pass, on my way to work, when I heard God say.. LaCrease pray RIGHT NOW as if today was your last day living. He said PRAY NOW. At first I thought I was tripping, because it was with urgency and he said before the light turn green. I remember saying.. God right now? He said pray NOW. I remember saying Lord Thank you for my life, my family that you hand picked for me. Forgive me for all my Sins, known and unknown. I told him that I wanted to LIVE with him forever. Then….. the light turned green and I was about to enter I-94. As I was driving, I’m thinking okay what is God up too, what is going on? He knows I ask a lot of questions and think a lot. I’m wondering if I was about to die, I didn’t know what was happening, but I PRAYED just as he told me. I’m driving and JUST LIKE THAT… I started thinking about something else, and forgot all about the prayer I just prayed. Just as I turned the radio on, and continued to drive to work.. all I saw was BRIGHT RED LIGHTS in front of me. People were breaking hard in front of me. I didn’t know what was going on to cause this all of a sudden STOP. The truck in front of me was blocking my view so I had to rely on him when to stop breaking. All of a sudden, he swerved over to the left, and that’s when I was able to see what he was seeing. When he swerved over I was RIGHT THERE about to run in the back of another TRUCK/SUV HARD!!!! When I say HARD… There was NO WAY in this world I would have survived that accident. NO WAY!!!! I WAS DEAD!!! The truck that swerved over to the left allowed me to see that HE was about to run into the back of another SUV truck. Once I saw what he saw, not only was I BREAKING REALLY HARD.. but I didn’t have enough time to stop, so I to had to swerve to the left.. THANK GOD NO OTHER CAR WAS THERE. I would have DIED.. The impact would have crushed the front end of my car so badly, that it would have blew my chest out. It gave me a headache so badly. It never went away that day. My breaks took a beating too. LOL I went to work feeling so Thankful, I couldn’t stop thinking about God and HOW I HEARD HIS VOICE. This is one of the many stories I share with people all the time. You have to tune into that still voice. Surrendering doesn’t mean giving up or not caring. 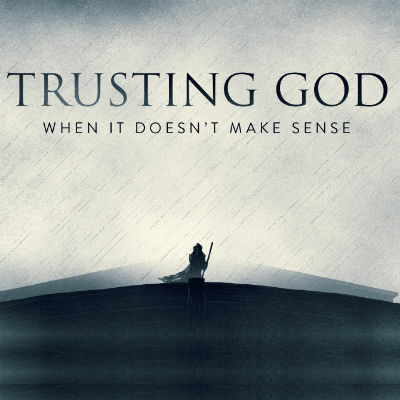 It means trusting and allowing things to be tended by God. When have you done this in your life? What happened? When I moved back home from Atlanta. I’ve been wanting to move there since I was 22 years old (( now 50)). I moved Sep 3, 2012 on my Birthday, NEVER telling anyone how much pain I was REALLY in concerning my leg and barely being able to walk. One day before moving to Atlanta, I woke up unable to walk from the pain in my left calf area. When I got there I went on a interview and barely made it up the flight of stairs. I knew then, that I would never be able to stand at a job for 8 hours. I knew that if I went back home, I could get well, and go back to my old job of 9 years, but I was determined to stay there and make it. I was so depressed when I was there. I knew it would get better, but when? I had been waiting my whole life to move there, only to get there and not be able to walk. At this point, I had made up in my mind that I was going back home to Detroit. So, one day I went on line looking for apartments, when I came across this one Downtown. I thought, I could never live there. I always wanted to live Downtown Detroit, but knew the rent was too high. But this one kept standing out to me, KNOWING I COULDN’T AFFORD IT!!! That’s when I heard God say, YOU WILL LIVE THERE! I knew it was him speaking because I know his voice, I wouldn’t TELL MYSELF THIS. Simply because I already came to MY OWN CONCLUSION that I couldn’t afford it. I immediately made an appointment to see it, while I was still in Atlanta. I had money, but I didn’t have the strength to stay while in so much pain. I drove home from Atlanta and had to move in with my daughter, which killed me as a MOTHER because I wanted her to enjoy her new place. But she welcomed me, and saw how much pain I was in. When I say she nursed me back to health, mentality and Spiritually….. She did that! Not only that, but her DOWNTOWN apartment was around the corner from the one I made an appointment with. Never knew that when God told me I would move there. The day after I made it back to Detroit, I went to see the apartment and I HATED IT. Told God I will NEVER EVER MOVE THERE!!!!!! EVER!!!! NEVER!!!!! I hated everything about it. Only 1 of the 3 elevators were working. There were ” Under Construction” notices everywhere. The atmosphere was terrible. The apartment that I saw was nice, but it needed upgrading, it was not enough for me to move in. I did LOVE how they kept the grounds up. I loved the Downtown location, but I hated all the construction going on. I just couldn’t see the vision. I went back to my daughter’s apartment and told her how I hated it and that I was DONE!!! Told her, I would NEVER EVER move over there. I was done with everything. I couldn’t walk, didn’t want to go back to my job of 9 years. I was DONE!!!! Then I caught a bad cold, I was depressed and even got into the worst argument with my brother in all of our life. I cried everyday, all day, the moment my daughter left out for work. I cried and cried and cried and cried and cried and cried. I cried so much that I told God that if he gave me until a certain date (( cant remember it )) that I would stop, just allow me to keep crying. That day came… and I gave everything to GOD. Total Surrender!! A few months later, my daughter was working to help a young lady find a apartment, without remembering the building I went to when I first came home, she told me she went to see one. I remember saying to her, “THAT’S THE SAME APARTMENT I LOOKED AT”. She said momma its nice over there, they’re doing repairs and the apartments are nice. She went on and on about how they looked. The way she talked about this building made me want to see it again for myself. So, it made me wonder if I was just depressed and down at that time that I was over looking the potential of the building. The very next day I made an appointment to see it again. I fell in LOVE. I don’t know how I over looked how well the building would look as it came together with the repairs. It was like I had a new set of eyes. I applied that same day! The lady called me 3 days later and told me to come and pick up my keys that was Dec of 2012. God told me that I would move there, and today I’ve been here for almost 5 years. Shortly after, I moved my parents DIRECTLY AROUND the corner. I stayed in my original apartment for 2 years, then they told me that when my lease was up that I could move into a BRAND NEW APARTMENT. My APARTMENT IS BRAND NEW! ALL NEW EVERYTHING!!! I’M THE FIRST PERSON TO LIVE HERE WITH THIS UPGRADE. God told me that I would live here, even when I said NEVER and never thought about it again. When I gave up the control and trusted God that’s when I Surrendered. I’ve been at PEACE and happy ever since!!! I LOVE not only my apartment… but my DOWNTOWN LIVING! It happened just as God said it would. Thank you Lord! You gave me my hearts desire, forgetting that I prayed to live Downtown a long time ago. Thank you! What was the first Spiritual seed that was planted in your soul? It would surely be the time when I was about 19 or 20. I love to walk, so one day I told my dad that I was going to take a walk, but the neighborhood that I wanted to walk through wasn’t safe. Especially for me to walk alone. Well, I felt that I was grown, and decided to walk it anyway. He had his opinion about it, and I was cool with that. But I wanted to go, and I did. I walked to my aunt’s house, but didn’t go in, it was getting dark so I turned around and started heading home. As I was walking, I came to this alley and before I crossed it, I looked down it to make sure no one was coming. Lots of women were getting raped in alleys back in those days, not to mention how creepy they were. As I’m staring down this alley so tough as I pass it, there was this long tree branch that hung over into the sidewalk AT THE ALLEY to where you can’t see whats in front of you until you pass it. Well, just as I passed it, there was this man RIGHT THERE walking towards me. This man scared me so bad, that it felt as if my heart jumped out of my body!!! I just knew that I wouldn’t see my family again. To this day, I can never think of a time, where my heart was beating so fast. All I could think of was what my daddy told me about that neighborhood. His whole conversation played in my mind in this moment. I DID NOT SEE THIS MAN AT ALL BECAUSE OF THE TREE BRANCHES. Thing was, he was only walking just as I was. He didn’t want any trouble, he only wanted to pass me so that he could get to where he was going. That’s when I heard God speak to me, so loud and so clear FOR THE VERY FIRST TIME as I hurried home. He said to me. Your dad was only protecting you from the dangers that you cannot see. He told you NOT to walk this neighborhood but you did it anyway. He said that man was only there to show you what you cant see. All the way home, I couldn’t stop thinking about what God said to me, and how I heard his voice for the very first time. I will never ever, ever, ever forget that experience and how I disobeyed my dad. God showed me that no matter how grown I am, he is always present, and that I shouldn’t ignore sound advice ((( FROM ANYONE))) just because I’m grown.